By Edyta Sitar. 12 large spools of 50wt cotton Mako thread. Colors include-1130, 2545, 4030, 1100, 1133, 1135, 4650, 1114, 2892, 1125, 2730 and 2780. 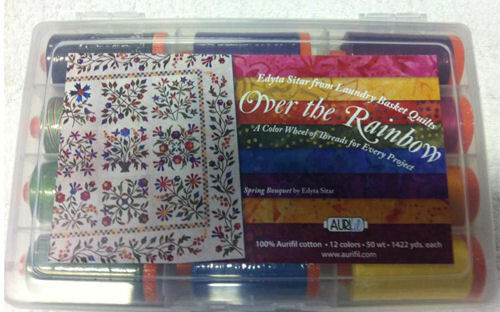 This set includes one 1,422yd spool each of 12 colors of 50wt cotton thread, Art.A1050. These colors have been personally selected by designer Edyta Sitar to work beautifully with every one of your projects.